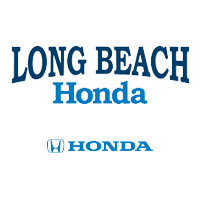 The Parts Department at Long Beach Honda has high quality, genuine OEM parts in stock. Our staff is here to answer any questions you might have about Honda parts. If you know what part that you need, simply order it online using the form below or come in and ask for the part. If you aren’t sure what part you need, we can help! Our expert staff can help you figure out exactly what your vehicle needs to run like new. If we don’t have the part that you’re looking for, it’s no problem! We will order the part and let you know when it has arrived, or ship it directly to you! You’ll get your new part quickly, and we guarantee it will be a high quality part. We help install your new parts to ensure that everything is just the way it should be. So stop waiting to get your Honda fixed, and start shopping parts here at Long Beach Honda today! We can be reached by phone at 562-490-3975.